Our Springs Homes agents work with a lot of Home Buyers and subsequently, show a lot of properties. This experience makes them an invaluable resource, especially when it comes to advising Home Sellers on how Buyers think, what they see, how they react and how you can make a great first impression when they tour your home for the first time. Especially when if you’re considering putting your home on the market. We asked a couple of our agents to share something that Home Sellers often overlook or forget to take care of prior to allowing their home to be shown. In other words, what turns off potential Home Buyers during the critical first impression of the home? One detail Sellers often overlook is the importance of removing pet evidence before a showing. Colorado Springs is known for being a dog-friendly city, so most folks here appreciate fellow pet owners. But when those folks are buying a home they do NOT appreciate your dog beds covered in fur, dog slobber on your sliding glass door, claw scratches on your hardwood floors, toys and food bowls in the middle of the kitchen, and especially doodies in your yard (however small). When a Buyer walks into a home that screams DOG they are pretty grossed out. And then they wonder how much cleaning will be needed in order to make the home sanitary and livable according to their standards. It seems this culture of “accept our pets” transcends into all price ranges too. 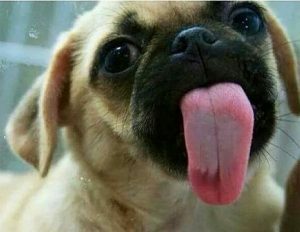 I’ve seen some high-end homes which reek of dirty dog. And Buyers are not only turned off by your home, but they begin to question me as to why I would even consider showing them this home. It’s embarrassing to walk into a “dog overload” situation having not seen it coming. And of course, sometimes this stuff isn’t obvious in the online pictures we see prior to showing. I know it’s a hassle as Sellers, but dog owners have to stay on top of such things while selling. If you don’t, it just might cost you that one solid Buyer. Just sayin! This one seems really obvious and simple, but I’m constantly amazed when a Home Seller completely ignores the front door and entry to the home. When I walk up to a house with a nasty door or entry with Home Buyers in tow, I say “I hope this isn’t foreshadowing”. A nasty entry and doorway puts the prospective Buyers on alert. It’s like from that point forward they’re looking for problems. If the front door is chipped, peeling or faded, paint it. If the doorbell is broken and/or has a hole thru the button, replace it. Replace or repair torn or worn-out screens. Ace True Value Hardware stores here in Colorado Springs make this really easy. Make sure the path to the door is clear; no dirt, trash, toys, newspapers or other obstacles. Add some plants, even if they’re fake. The Buyers usually don’t notice if they are real or artificial and if they do, it still shows that you care. If you make the entry to the property appealing, you’ve done your best to start out on the right foot. This is just a smart move regardless of what condition the real estate market is in. One of the biggest things homeowners overlook when it’s time to sell… and I know it sounds cliché… is curb appeal. I firmly believe that “You never get a second chance to make a first impression!” I’m going to address curb appeal, and a bit more. Dead or overgrown grass & shrubbery looks like a lot of work to first-time homeowners, so spruce up that front yard. Clean weeds out of rock & mulch beds. According to a variety of experts, front doors tend to yield around 100% return on investment, one of the highest percentages for a minor home improvement. Imagine if you didn’t even need to replace it, but merely give a fresh coat of paint. Pick a neutral or trendy color. Clean windows and glass doors are also in this curb appeal category. It makes your home feel fresh from the outside and helps you enjoy the sunshine while inside! I can’t believe how inexpensive a good thorough window cleaning can be. Once inside (I know this extends beyond curb appeal, but work with me here), Buyers will see the details that you have grown accustomed to while enjoying your home. Worn flooring or carpet that needs to be stretched is distracting to the Home Buyer. First of all, we understand you live here, and it’s a royal pain to move your furniture out, but in the end, it will be worth it. Buyers will discount your home or overestimate the cost of this repair, so it’s better not to give them an opportunity to object. Replace the flooring or stretch the carpet. Smells… pee-ew! When we sold our second home, we’d just had our first child. Sadly, we had grown immune to the grotesque diaper genie smell. Once it was pointed out in a feedback form we got it OUT of the house. Other smells can turn a Buyer off as well. You may have a litter box, but non-pet-owners can smell that ammonia scent right away. Buyers automatically assume it’s in the carpet, pad, sub-floor, floor joist, the room below… okay, I’m kidding, but seriously consider replacing flooring. Again if it’s something you live with all the time, you may not notice. Pet hair and messes. It’s hard for pet owners to not become unaware of the pet hair in their lives. But again for Buyers who don’t own pets or those with allergies, this is an issue. Get a complete professional cleaning, and maybe put Fido in the kennel the first week you have the house on the market. Side note – the barking dog, even safely kenneled in garage or basement bedroom makes some people very nervous and on-edge, so they don’t have a warm feeling when viewing your home. Some people are flat-out afraid of dogs, no matter how small or far away they are. It’s nice if you can “stage” your home. You don’t need a professional; just tidy up, thin out closets, slim down on excessive family photos and personal (religious, political, hunting) décor. When you list your house, as a Seller, be Switzerland… neutral, lacking strong opinions displayed around your home. Based on our experience, we have far more detailed help that we are happy to share when you’re ready to list. Let us know how we can help!! Having one answer to this question is tricky. I’d say for first impressions, smells are the most important thing that Home Sellers can overlook. If a Buyer walks into a home and smells something bad, it’s an immediate turn-off. Bad smells create red flags and cause concern for lack of cleanliness, maintenance and overall care of the home. If a Buyer walks into a warm and inviting scent, it’s a pretty good sign that the home is cared for. I was recently showing homes to an experienced and savvy Home Buyer. We went into a great property and I thought for sure this is “it”. 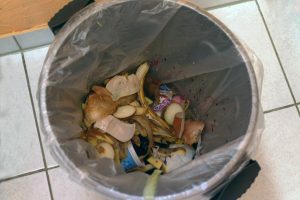 The Home Sellers had left the trash in the kitchen trash can a little too long. There was an odor of decomposing something emanating from the can, it was pretty bad. The Buyer wouldn’t even consider the home and we left immediately. As we continued to look at other less ideal homes, I kept trying to bring her back around to what she now referred to as the “Stinky House”, but there was no interest. I kept thinking to myself, “whatever was stinking up the kitchen just cost the Home Sellers a sale”. Oftentimes we get really used to smells in our day to day environment. If you question if your home has offending odors, an easy solution is to ask a friend to come over, walk through the home and be honest with you about what they smell in the home. Decluttering, De-personalizing and Deep cleaning are the big 3-D’s when getting ready to put a house on the market. A Seller should give potential Buyers the opportunity to see a blank canvas. I recently was showing a house to a client and the downstairs family room was so entrenched with memorabilia and family photos, the entire conversation while we were down there was about that family and all of their stuff. That is NOT what you want the Buyer to be focused on. You want a Buyer to walk in and picture their own family pictures, decor, and life happening in that family room. Deep cleaning is equally important and relatively straightforward. Buyers need to see the home in it’s very best condition. Sellers have to bring their “A Game” when presenting their house to potential Buyers. A deep clean and some light touch-up paint and other small repairs will go a long way to getting your home sold quickly and for the highest dollar. For me, the garage almost always tells the truth. At least when it comes to getting an idea of how the home has been maintained. If The garage is a total mess, packed to the ceiling with boxes and junk, I always figure that the well-staged interior is just a facade. Now, if the garage is neat clean and well organized I always assume (right or wrong) that the house has been well maintained. If this is not the case, we find out at the inspection. Take the time to clean out your garage, it’s worth the price of a storage space for the time your home will be on the market. Matt Casady from STOR-N-LOCK has some great suggestions about how self-storage services like his can be a huge help. Most storage units in Colorado Springs can be rented on a month-to-month basis so you can use it for as long or short as you need without being locked into a contract which makes it a great option as a Home Seller looking for a short-term solution. Plus, many local facilities offer move-in specials like one-month free (especially in the fall and winter when they’re less busy) so using the storage space is even cheaper upfront. Storage units come in a wide variety of sizes with a variety of features so you can store nearly anything you need to there. If you’re just looking to tidy up your garage by getting rid of boxes or junk, a 5’x10’ or 10’x10’ storage unit would be sufficient. If you’re looking to remove clutter from around your whole home by removing excess furniture from multiple rooms, then you may need a larger unit like a 10’x20’ or 10’x30’ unit. Plan what you’re going to be storing and how long you plan to store it before selecting your storage unit. For example, if you’re selling your home during moderate weather months like in the spring and would only need the storage unit at that time, then a non-climate controlled unit would probably work just fine. However, if you’re selling in the winter and the items you’re storing are more sensitive to temperature fluctuations like electronics or family heirlooms, then a storage space that is climate controlled/heated would be worth the extra few dollars a month. If you know you’ll be keeping your stuff in storage more long-term while you move and get situated in your new home self-storage can be a great option as well. Many local facilities offer discounts to customers who pay 6-months or 12-months upfront so if you know you’ll be storing for a while that’s a great way to cut down on the storage costs. Because of the wide variety of storage unit sizes and optional amenities (like climate control), there’s a storage space to fit really any need you have during your selling and moving process. 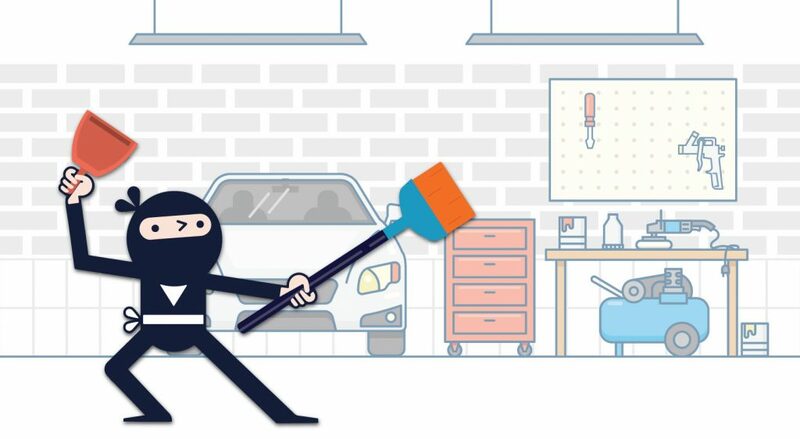 Just make sure your garage looks like a maintenance ninja lives in the house. No matter what the condition of the market, there is always competition for the best Buyers. Don’t fall into the trap of assuming everything sells for top dollar in a Seller’s market. There is always another house and more deals fall out in a hot Seller’s market than in a normal market. It’s in a Seller’s best interest to sell to the most motivated, best-qualified Buyer. One of the best ways to motivate a Buyer is by impressing them every time they see the house. We hope you have found this information useful. If you have any questions, please feel free to contact any of our agents. If there is one thing Realtors love to talk about it’s selling houses and what that takes. Here is some more great information on this subject from some of the best real estate bloggers around the internet.